With our Original Equipment Manufacturer (OEM) partnerships we are able to deploy and maintain generation systems up to 50MW in single and multi-engine installations. With this capability, Asiko presently has a backlog of close to 30 MW of industrial power projects for clients looking for gas fired power generation. Asiko is privileged to work in cooperation with large Gas engines manufacturers and providers of solutions to power consumption needs; we also at the forefront of gas co-generation or Combined Heat and Power (CHP) innovations. 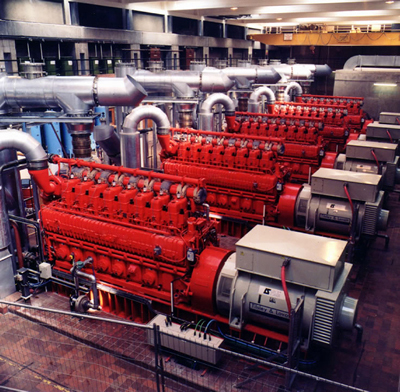 Our large gas engines offer a full line of gas engines to meet virtually every power demand. By incorporating stronger and higher technology components, the Gas engines have modified proven designs to meet modern demands for higher speed and power without sacrificing durability. Over the years, lean-burn versions of the most popular engines, ensuring low emissions and combustion stability across wide load range and speed has been developed. As a result, their engines meet or exceed stringent environmental standards all over the world. Taylor Power Systems manufactures industrial proven dual fuelled natural gas/LP Gas generators, suitable for a wide range of applications. Taylor’s generators, available through Asiko, are backed by a parts and distribution network that is second to none. Today, Taylor Power Systems is one of America’s premier generator manufacturers of industrial, commercial, agricultural, and residential generators. 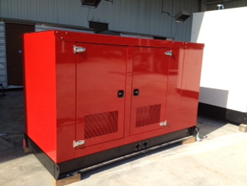 Asiko Gas Power Generators are available with Sound-Attenuated and Weather Protective Enclosures. All of our enclosures are designed and upgraded by sound attenuation specialists and engineers for optimal sound level reduction and are compliant with ISO and international standards. Asiko is able to supply a range of genuine spare parts through our existing technical partnerships. This includes all normal engine service consumables, and parts for more exhaustive overhauls, plus control panel and any electronic components.